Saving for retirement vs. college which should you choose?? Retirement wins hands down . For the simple reason there are multiple ways to fund college. There are no loans for retirement!! 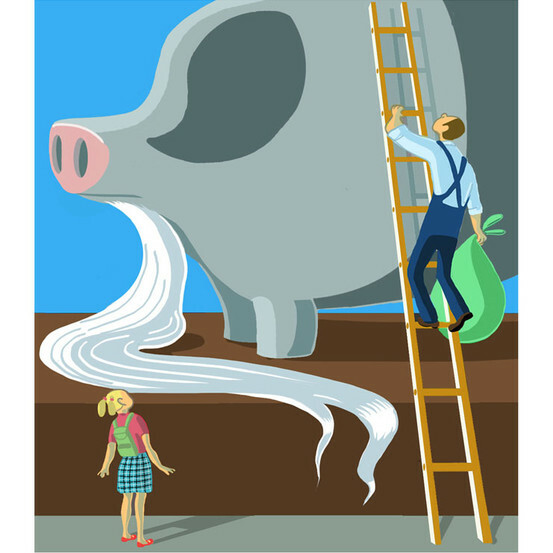 Read on from the WSJ…..
Here’s a piece of advice that’s tough for many parents to swallow: It is more important to save for retirement than for college. It may sound selfish, even irresponsible. But it’s true. “Unless your retirement plan is for your children to take care of you, retirement funding must come before education funding,” says Rick Lowe, a senior financial adviser at the Ayco Co. unit of Goldman Sachs Group Inc. The reason is simple: Saving is the primary way you can fund your retirement, especially if Social Security is unlikely to replace a significant portion of lost income and you aren’t entitled to a big company pension. College, though, can be funded many ways. For the 2012-13 school year, parents on average paid 27% of college tuition from income and savings, according to Sallie Mae. The rest came from grants and scholarships (30%), student loans (18%), student income and savings (11%), parent borrowing (9%), and relatives and friends (5%). Why is college so ridiculously expensive?